The 11th Hour is a puzzle adventure sequel to The 7th Guest. 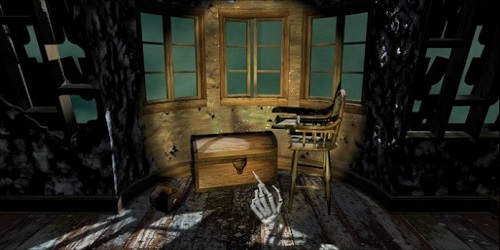 Once again players will be exploring the creepy mansion in what is a thrilling PC adventure. The game was released in 1995, two years after the success of the original. The 11th Hour is set over 50 years after the original game with players stepping into the shoes of Carl Denning Jr. who is part of the popular TV show, Case Unsolved. After your producer (and lover) goes missing it’s your job to visit the same haunted mansion of the original to solve this mystery. This mansion again has countless rooms to explore and puzzles just waiting to be solved. 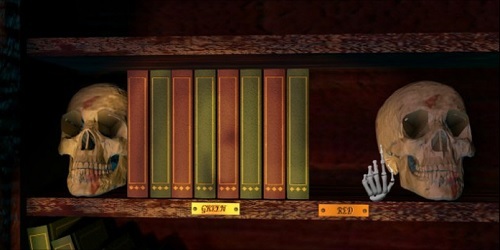 The game starts as players walk into the mansion with their only lead being a strange portable computer known as the Game Book which was sent to the player mysteriously. For those unfamiliar with the original game the mansion belongs to the insane toymaker Henry Stauf and has sat to decompose for nearly 70 years. This time around players will be able to explore 22 rooms within the mansion which give you a glimpse into the twisted mind of Henry. In terms of gameplay the 11th Hour is very comparable to the original with a focus on puzzle based gameplay mixed in with exploration and discovery. The 11th Hour does have a more treasure hunting feel than the original and also makes greater use of cut scenes. Everything has a creepy and eerie undertone which creates an impressive atmosphere throughout the entire game. The 11th Hour is definitely a nice continuation for the series and has plenty of nostalgic moments for fans of the original as they return to the mansion all over again. Newcomers to the series will definitely want to start with the 7th Guest for the full experience. Revisit the same mansion as The 7th Guest. Save your producer and partner. An eerie atmosphere during the entire game. Plenty of puzzles to test you. Nearly two dozen different and unique rooms to explore within the mansion.